An exceptional film that’s equally stunning as it shows the real heroes behind the circus magic. This is easily one the best films of 2017, with amazing song and dance numbers, stunning cinematography, and a handful of talent that comes together to make this a true showstopper. Hugh Jackman’s theater background shines through, while Michelle William’s poise, despite her character’s slight lack of growth in the timeframe of the movie, gives the film a quiet balance amidst the glitz and glamour. Even Zac Efron fills the screen with more than just his piercing eyes and good looks, proving that he can act, sing and dance with the best of them, for those who may have forgotten him from his High School Musical days. As a film, taken out of context, and seen just as a piece of entertainment – it was stunning. I was riveted the entire time. From the opening scene to the final curtain, I was tapping my foot, feeling for the characters, and even whispering “no” along with a few others in the audience when Barnum was suddenly tempted to cheat on his wife. But once the lights came back on, and the credits rolled, there was a silence in the theater. It lay heavy and with great discomfort in many who fumbled with their purses, checked their phones, or simply just left the theater. Because we all know the true story, the one behind the lights, behind the music. The one the award winning lyricists didn’t dare touch upon, the one the lights never illuminated, the one even Hugh Jackman wishes we would forget. In a brief introduction before the movie began, Hugh Jackman commented that he was proud to have made this film and believed that this was how P.T. Barnum should be remembered. While it makes for a kind sentiment, why should the world forgive and forget all those that Barnum hurt and exploited, just so that he could make more and more money to feed his ever-growing greed and need to be on top due to a poor childhood? Wouldn’t it be nice if we could all be remembered by the things that made us rich and beautiful, and conveniently hide the shadows we live and die with that make up our true existence? 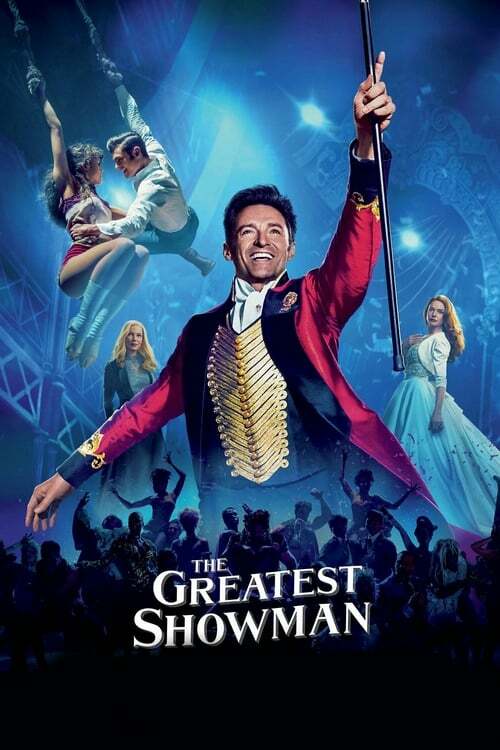 Whether out of convenience or grave desperation to create a hero where there was not one to be had, the film focuses all its story on Barnum and his family, and fails to shine a spotlight on the real issues that all the lights and music try to cover up, but to an animal lover like myself, never really do. While the performances were breath-taking and the storyline even drew tears from my eyes on multiple occasions, it wasn’t until they brought in the elephants and proudly showed the tigers jumping through the fiery hoops, that I felt my heart truly break. The entire film I had to keep reminding myself that at least I could be sure that no animals were harmed in the making of this movie…though I cannot actually be sure of that. It was just something I had to tell myself so I could enjoy the rest of the movie. The animal cruelty that gets very carefully excised from the story makes way for an even more uncomfortable theme that continued throughout the film – blatant racism. Screenwriters, Jennie Bicks and Bill Condon attempt to soften the blow by hand-feeding the audience a quote from a reporter, played by Paul Sparks, that Barnum’s circus could be seen as a “celebration of humanity,” but no one actually bought into that idea. It was never hard to see past the gorgeous choreography and the fabulous music, that this film told the story of something much deeper and darker. Yet, director Michael Gracey (Naruto, The Muppet Man) brilliantly captured Barnum’s true essence in a scene when Barnum flat out closes the door in the face of his “oddities” to keep them away from his newly found high society friends. And so, it comes as little surprise when I say that although the film itself and the talent behind it is exceptional, the greatest justice I can do for The Greatest Showman, is to highlight the real heroes and victims of a show that upon closer scrutiny was neither great, nor made of just one man.